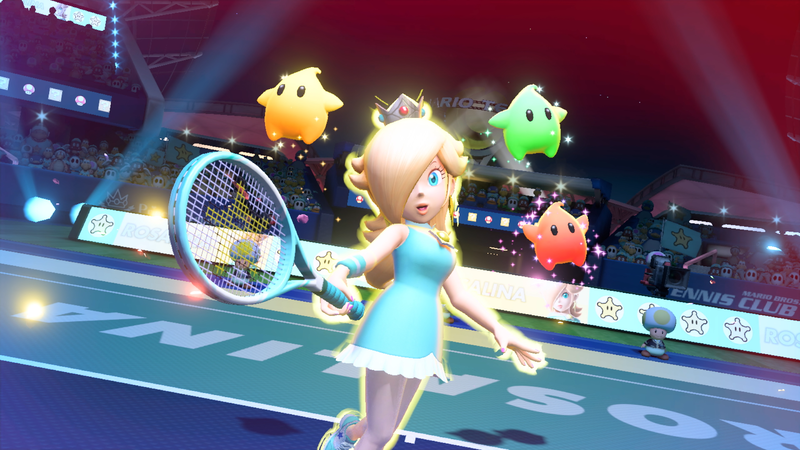 A new update for Mario Tennis Aces has been released by Nintendo, bringing the game to version 3.0.0. This updates adds a new Ring Shot mode, as well as a new opening movie for Adventure Mode. Also, Yoshi’s Ring Shot has returned, allowing players to be get Blue, Orange and Pink Yoshis. Videos of the cinematic movie, Ring Shot mode and Yoshi’s Ring Shot can be seen down below. Still more content at launch than Mario Tennis: Ultra Smash had. I really hope we get stuff like additional cups along with doubles cups, the star cup is just too easy. Award ceremonies would also be nice, they didn’t add much but I love those small details. I think it was a rush job to have a game out for the summer last year. Kirby might’ve been a similar case for spring. I really don’t understand why people complain about this. I could understand if they were making you pay for all the content that came out after the initial release but they are not, all content for the game is 100% apart of the initial price, even the characters! The same thing happened with Splatoon, despite the fact that Nintendo stated there would be plenty of content after the original game came out, people still complained even though they wouldn’t have to pay anything beyond the base game price. It’s not really “shady” when Nintendo isn’t even cashing in on all this post-launch content. That opening is so depressing! It’s also… a million times better. Comparing the original opening to the new one I have to say that is better. But what is strange is why they have done it after almost a year?